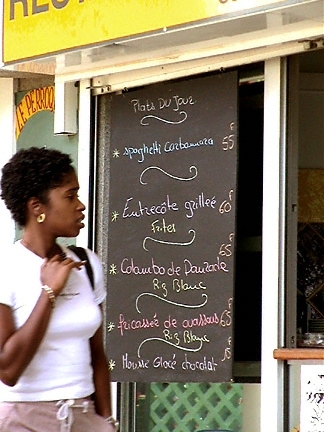 French is the official language but islanders often use the local Créole among themselves. English is typically spoken only in the larger hotels and tourist areas. Attempts to speak le français are usually appreciated on all the French islands and mini-phrase books or dictionaries may prove invaluable. Bookstores often carry simple cassette learning tapes that can assist in the proper pronunciation of a few basic phrases. Don't forget that a smile is the easiest and most universal form of communication.